Find a quick and easy way to communicate with customers on their website. Offering LiveChat to help with pre-sales and support customers. Improved customer experience and customer satisfaction at 94%. We tested other live-chat tools, but LiveChat was highly recommended and use by other companies in our industry. We were looking for something easy for customers and us as well. After a testing period, we knew we could not find anything else that offered the same ease of use. CPanel’s support team consists of 6 operators. 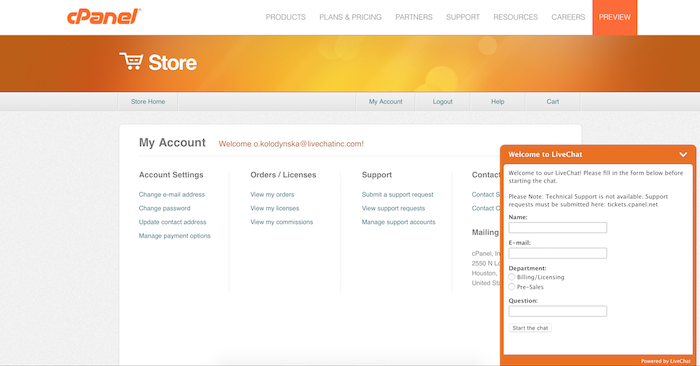 They use LiveChat to help with pre-sales, billing, and licensing questions for the product. Additionally, they help with any final concerns the customer may have before making a purchasing decision. 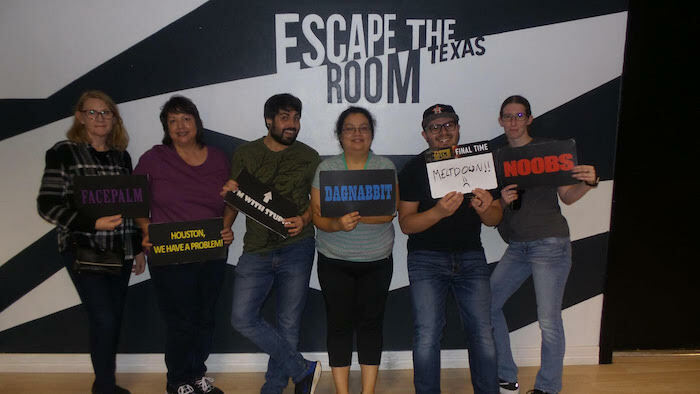 As you can see in the picture, their teamwork is pretty strong. LiveChat makes it much easier for us to work with customer’s that speak a different language. With instant text being sent from our customer we can use a translator to understand their message and form a response. This makes customer interaction more personal and intimate as the customer knows we want to go the extra step to help. We tend to notice that customers prefer LiveChat over a phone call. Usually because with LiveChat we can address their question or concern very quickly. We believe that great customer service is a vital part of a successful product and LiveChat makes it easier to talk to customers, therefore making the experience better. cPanel plans to keep working on providing the best experience possible. They still have a lot of LiveChat features and integrations to discover. There’s an interesting journey ahead of them and their customers. 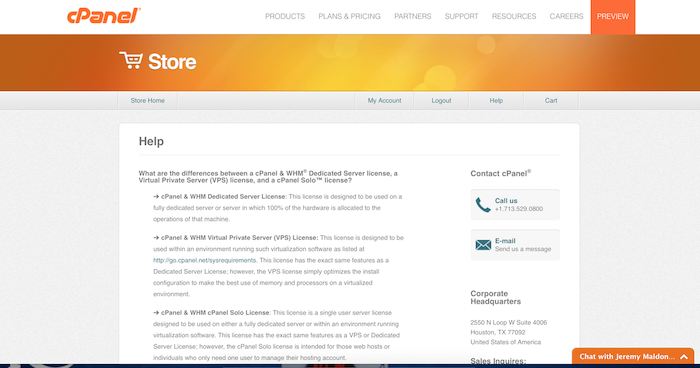 cPanel is an online Linux-based web hosting control panel that provides a graphical interface and automation tools designed to simplify the process of hosting a website. Their mission is simple - they ensure that their clients/partners are successful by providing the utmost exceptional service % support through the great teams of knowledgeable individuals at cPanel. More efficient live chat customer service allows for 24/7 support coverage. AWeber reduces the number of phones and emails, and reaches 95% customer satisfaction.